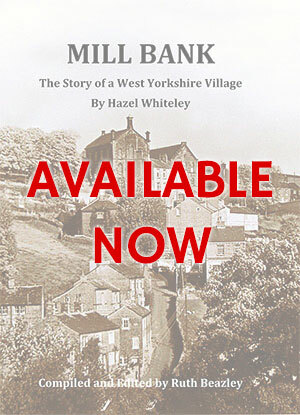 The new book Mill Bank: The Story of a West Yorkshire Village is available to buy now for only £7. If you bought a Mill Bank book before the end of July 2018 please change the ISBN number to 978-0-9932204-4-9. The ISBN number can found on the first page. Copies can be purchased now from Triangle Post Office and will available for sale from Sowerby Bridge and Ripponden libraries in September 2018. The book can also be ordered from Ruth by email ruth.beazley@btopenworld.com or by phone 01422 823110. £7 or £10 for postal delivery. We’re excited to announce the launch of our new book this month! All welcome to the launch event on 14th July at St. Mary’s School, Mill Bank, HX6 3EJ 14:30 – 16:30. Copies of the book can be purchased at the event for £7. Mill Bank. 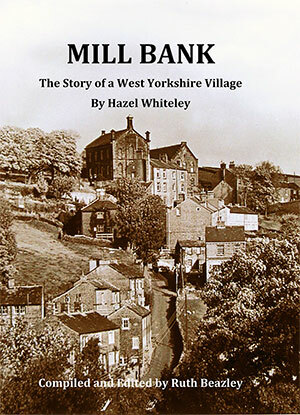 The Story of the village told by Hazel Whiteley and edited by Ruth Beazley describes her childhood experiences in Mill Bank. With humorous anecdotes about village life in the early twentieth century; a thriving, self-sufficient community with double the present population; threats of village demolition in the 1960’s and the determined action taken by villagers to save the village and achieve Conservation Area status in the 1970’s. Hazel Whiteley approached Ruth Beazley in 2017 donating her writing to the Mill Bank archives. These described her childhood experience in the village and her family connections with Mill Bank. She had also researched the history of the village when Mill Bank was threatened with demolition in the 1960’s. Ruth then worked with Hazel to compile a book, including some of her own research, over the following eighteen months. The book can also be ordered from Ruth by e mail ruth.beazley@btopenworld.com or by phone 01422 823110. £7 or £10 for postal delivery.